Leeann Burton, licensed Realtor since 2009, is a proven sales professional committed to excellence in customer service, with an extensive depth of market knowledge and experience in the real estate industry. Awarded “Rookie of the Year” in her first year of real estate, is one example of Leeann’s dedication and work ethic. Leeann continues to excel in the real estate industry and applies her dedication and work ethic not only to meet her client’s expectations but to exceed them. In her pursuit to offer a higher quality of service and representation to both her buyers and sellers, she obtained her designation of Certified Negotiation Expert empowering her to negotiate on behalf of her clients in the strongest negotiating position possible. 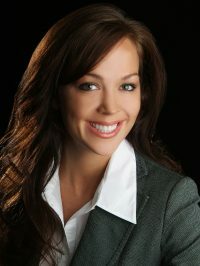 She also holds a Certified Home Marketing Specialist designation instilling in her the professional skills of strategic marketing and staging techniques to assist her sellers to maximize their properties’ potential, ultimately selling at a higher price in less time. Leeann’s eye for design and experience in staging brings tremendous value to her clients. In addition to her real estate career, Leeann is very dedicated to her church and community outreach. She is assistant director for her church homeless outreach ministry at Church Under the Bridge and has assisted with the Rey Feo Foundation & the Le Bello Organization raising monies for underprivileged students providing them the opportunity to attend college. Leeann is also very dedicated to her family and has three children. Joshua, 20, currently attending UH, Kristen, 19, attending University of Incarnate Word, Jeremy, 20, attending UH.